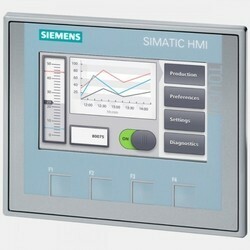 Leading Service Provider of refurbished hmi from Pune. Assisted by rich industrial experience and modern technical knowledge, we are able to offer Simatic Multi Panel HMI Repairing Service. Owing to our excellence, efficiency, flexibility, and finish on time, these services are immensely acclaimed and cherished amid our patrons. As well, these services are imparted by nimble executives as per the patrons’ varying desires. Apart from this, this service is highly appreciated for its work quality and timely execution amongst our clients.